Japanese mobile-phone company SoftBank Corp. is considering an investment in Mexican wireless carrier Grupo Iusacell, according to people with knowledge of the matter, in what may be its first foray into the fast-growing Latin American market. SoftBank, which controls Sprint Corp. in the United States, is in advanced stages of reviewing Iusacell’s assets, said one of the people, who asked not to be identified because the process is private. Iusacell owner Ricardo Salinas, Mexico’s fourth-richest person, said earlier this month that he would soon announce a new “world-class strategic partner” for the company. Grupo Televisa agreed to sell its half of closely held Iusacell, the third-largest mobile-phone operator in the country, to Salinas for $717 million this month. Televisa took a loss on its investment just three years after it agreed to buy the stake for $1.6 billion, as the carrier struggled to compete in Mexico. 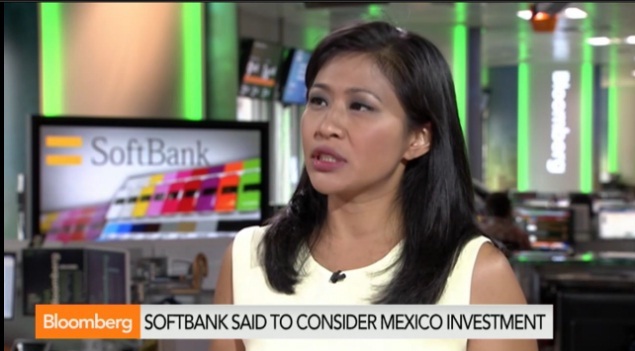 SoftBank would enter Mexico just as new laws open the telecommunications market to foreign investors and set up the industry for intensified competition. 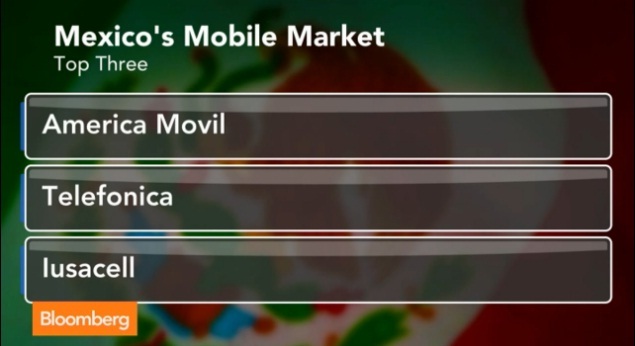 The Tokyo-based carrier is also among potential suitors contacted by America Movil SAB, which is preparing to sell assets in Mexico worth as much as $17.5 billion to reduce its market share to appease regulators, people with knowledge of the matter said last week. Iusacell controls about 8 percent of Mexico’s mobile market, trailing billionaire Carlos Slim’s America Movil and Madrid-based Telefonica. The new partner in Iusacell needs to have “high technical capacity, to be an international player, and have the financial capacity to face the demand there is in this market,” Luis Nino, a spokesman for Salinas, said when the Televisa exit was announced. SoftBank is one of multiple potential suitors for Iusacell’s assets, one of the people said. Hiroe Kotera, a spokeswoman for SoftBank, declined to comment on whether the company is interested in Iusacell. A press official for Salinas didn’t immediately reply to requests for comment. SoftBank already has ties with Iusacell, in a roaming agreement that allows SoftBank’s mobile customers to connect to the Internet through Iusacell’s network in Mexico for a flat rate. In 2010, Masayoshi Son, the billionaire founder of SoftBank, laid out a 300-year plan that included investing in 5,000 companies by 2040. Even as he forecast that 99.98 percent of companies would cease to exist in their current form over the next 30 years, he vowed that SoftBank would survive. He’s since been expanding, including the purchase of Sprint and acquiring a 34 percent stake in Chinese e-commerce company Alibaba Group Holding, which began trading in New York last week.